Authentication is a vital part of many web apps. I should not need to persuade you that an authentication must be easy to use and well-protected at the same time. You may either write it from scratch or use one of the many gems available out there. This article is the first in the upcoming series devoted to authentication in Rails. We are going to take a look at Sorcery, a less well-known, but very convenient and easy to use gem created by Noam Ben-Ari and other folks. In comparison to Devise, Sorcery is a bit more low level and requires the developer to perform some additional actions. However, this is a good thing because you can cherry-pick only the required functionality. Additional options are added with the help of submodules. Initially, Sorcery provides only the most minimal set of features. There are submodules to enable user activation, brute force protection, OAuth 2 support and more. It is really up to you to decide on what your app needs. “Less is more” is one of the main principles of Sorcery. I hope you are excited to get to know Sorcery better. :) Read on and let’s build a demo app together! The working demo is available at sitepoint-sorcery.herokuapp.com. Okay, preparations are done…it was fast, wasn’t it? Now, let’s integrate Sorcery into the app! Sorcery’s integration should not raise any difficulties, however there are a couple of known incompatibilities that you should take into consideration. We need to generate Sorcery’s config and migration. 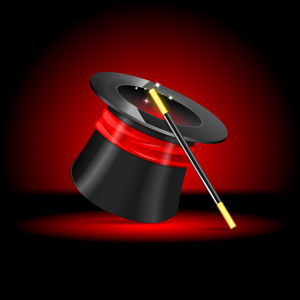 Initially Sorcery provides only the most basic functionality – authentication itself. No brute force protection, no “remember me”, no “restore password”, not even email validity checking. This, however, means that you can cherry-pick only the features that you really need. line is present there. It adds some Sorcery’s methods to the model. What we have to do here is add some validations, because initially none are present. This means that any email and password (including blank) may be provided. I am also requiring a minimum length to the password, requiring a confirmation, and making sure email is unique. Now we can be sure that email have the correct format. It is high time to proceed to controllers. Two controllers will be needed: one to handle user registrations (and possibly profile updating or deletion) and another one to handle logging in and out. Sorcery uses the bcrypt-ruby gem to secure passwords. This means that password are never stored in plain text – only their digest is present in the database ( in the crypted_password field). Therefore, password and password_confirmation are virtual attributes without corresponding table fields. It is impossible to build a dictionary for each unique salt, so the password becomes truly protected. You may read more here. By the way, you may use other encryption algorithms by overriding the user.encryption_algorithm = option inside the config/initializers/sorcery.rb file. Try to sign up…everything should be working fine. The same login method is used in the create action. If the user has provided an incorrect email or password, this method returns nil, so an error message would be shown. The logout method inside the destroy action does pretty much what it says – logs the user out. With this in place, it’s time to tweak the layout to display all the necessary links. This is pretty straightforward, isn’t it? However, the secret page still can be accessed just by typing its URL directly. What we need to do is add some kind of check in the page controller. # override the 'not_authenticated' method of course. You’re probably used to the little checkbox labeled “remember me” on sign in pages. How about adding it to out app as well? We can take advantage of Sorcery’s submodules for this task. Each submodule provides its own piece of functionality and can be hooked up independently. Think of them as of Lego blocks. If you wish to tweak the duration of the token, look for the user.remember_me_for option in the sorcery.rb file. The default value is one week. The login method can also accept the third optional parameter specifying if the user should be remembered or not. user.activation_mailer_disabled – if set to true, an email with an activation link will not be sent automatically, allowing you to decide when to send it. Default value is false. prevent_non_active_users_to_login – whether non-activated users should be able to log in. Default is false. activation_success_email sends a confirmation email saying the account was activated successfully. Actually, you can disable sending the “successful” email by setting activation_success_email_method_name in sorcery.rb to nil. Please note that emails won’t be actually sent in development – you will only be able to see their contents and meta information in the console. Set config.action_mailer.perform_deliveries to true in development.rb to change this behavior. For production, you will have to configure the SMTP settings. Some examples can be found here. In my demo app, I am going to disable user activation. load_from_activation_token is a method presented by Sorcery that finds a resource by an activation token. activate! actually activates the account and saves the result to the database. Awesome! You may now go check how this all is working. You probably noticed that it takes some time for an email to be sent and the page won’t load until this operation is completed. This is not a good user experience, as sending the email might take a long time. To fix this, the email sending process should be made asynchronous. DelayedJob by CollectiveIdea can be utilized to achieve this goal. This should be done only for Rails 4.2+. The email sending is now performed asynchronously, yay! This means that the integration was completed successfully. Brute force is probably the most widely known type of attack. Basically, the attacker tries to “guess” a password by trying one combination of symbols after another. To be secure, an account should be locked out after some unsuccessful log in attempts. user.consecutive_login_retries_amount_limit – how many unsuccessful attempts are allowed. The default is 50.
user.login_lock_time_period – how long the user should be locked out. The default is 3600 seconds. Provide 0 to lock out the user indefinitely. user.unlock_token_mailer and user.unlock_token_email_method_name – class and method to send emails to users with unlock tokens (by default they are not set up). load_from_unlock_token is a method provided by Sorcery that searches for a user by the provided unlock token. unlock!, in turn, removes the lock. ! at the end of the method’s name says that the user will immediately be saved, so you don’t have to call u.save. There are some other examples on the Sorcery wiki. If you are interested, this module simply sets some callbacks that fire after login, before logout, and after every other request. These callbacks update the corresponding fields. For example, here is the code that runs after each user request. This update was, once again, inspired by one of the readers who asked me to show how to implement password resetting functionality with Sorcery. Thanks to all of you for such great feedback! Users tend to forget their passwords, so presenting an option to reset them is absolutely necessary for any authentication system. With Sorcery, we can do this really fast. reset_password_token is a random string that will be generated when password reset instructions are requested. This token is only valid for a limited period of time and is nullified as soon as the user changes his password. It will be later used to fetch a user record and change the password for it, so tokens should be kept safe. You may override the user.reset_password_email_method_name if you don’t like the default reset_password_email method name. not_authenticated && return if @user.blank? And you’re done! Feel free modify this code further and post your questions if you’re in trouble. We’ve taken a look at Sorcery’s basic setup and its submodules. There are some more of them available, so take a look at the project wiki to learn more. Have you ever tried using Sorcery in your projects? Did you find it convenient? Share your experiences and don’t hesitate to post your questions in the comments. See the updated version of the article! The reason I'm asking for Attachinary is that it's much more streamlined and takes fewer lines of code with direct uploading to cloudinary. They also say that no changes in the model is required. So, it would nicely integrate with this authentication system. The link is here.. https://github.com/assembler/attachinary.